Expand digital reach to improve volume of conversions. magine IT is an information technology consulting services company that delivers cutting edge digital services with powerful solutions. We partnered with Emagine IT to reposition the brand through a reinvigorated design on flexible WordPress layouts. We also reimagined the information architecture and navigation for a better user experience while integrating custom, SEO friendly content. Emagine IT sought a more vibrant aesthetic through the full scale redesign to better differentiate their brand from the typical IT company. 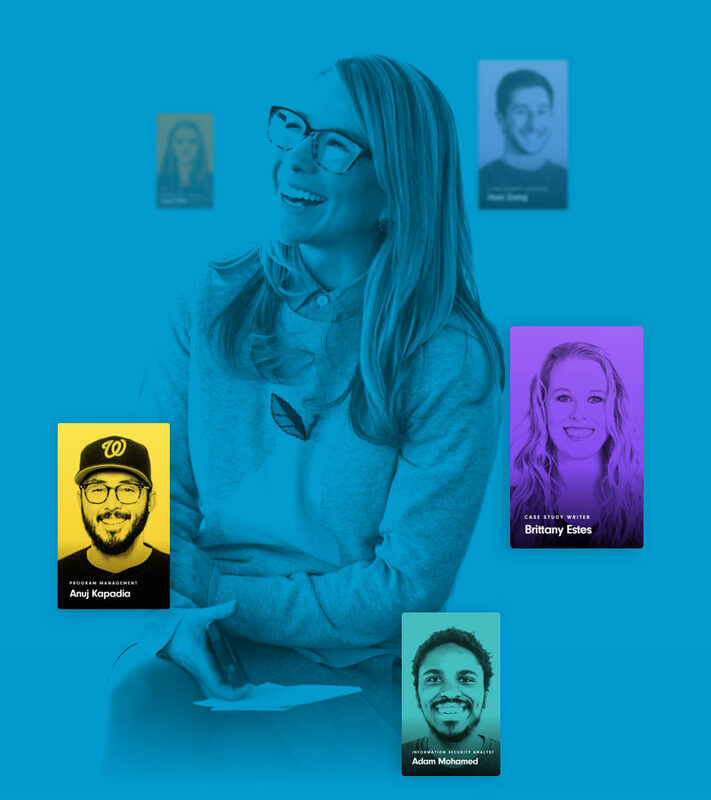 To fully emphasize their growing brand and energetic office culture for recruiting purposes, they also sought cohesive copywriting and content strategy. We used flexible layouts on a powerful WordPress CMS to engineer a creative solution for Emagine IT. Our Content Marketing team implemented targeted SEO strategies in writing content for high level navigation pages to drive traffic further into the site. We also completely refreshed the design with a dynamic aesthetic to better highlight internal initiatives and the attractive corporate culture. Emagine IT’s team wanted to reinvigorate their brand with a bright, vibrant design to differentiate themselves from typical IT companies. We began with a moodboard session to establish design direction, which allowed our team to target key elements that fit with their ideal aesthetic. These included the energetic color palette, gradients, sharp lines, and the interplay of imagery. Our team balanced the design with bright candy colors to create an expanded brand palette. We also provided placeholder imagery to guide asset curation. To emphasize the highly energetic company culture, we imbued the site with careful asset treatments and guidelines to ensure brand consistency across pages. We also incorporated key callouts and testimonials to further reinforce this focus. Jumpoffs to services and staff pages used image cards that balanced professionalism and lifestyle tones. Our Content Marketing team executed a targeted strategy for Emagine IT executives, reconfiguring the information architecture and navigation to create a more intuitive user experience. We also conducted SEO and content strategy research, creating a comprehensive set of strategy guidelines to ensure consistent copy. We also established brand voice and tone, as well as messaging for site content through key strategy exercises and working sessions. WDG’s Content Marketing team wrote comprehensive content for several high level landing pages. 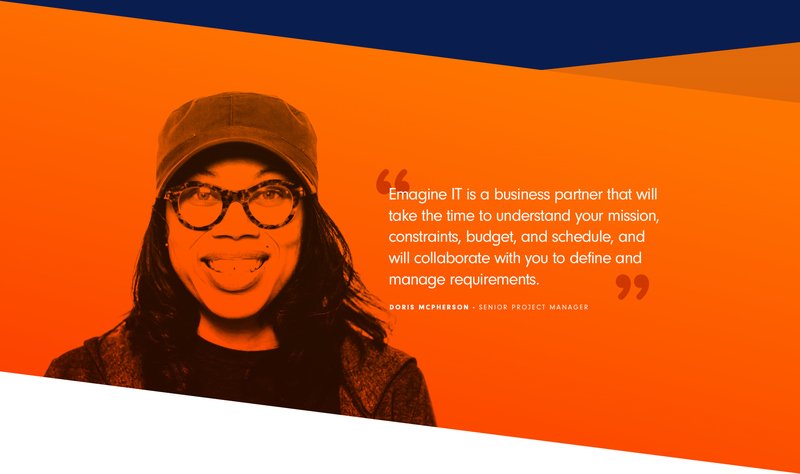 The new content direction emphasized the cohesive branding of Emagine IT’s work across verticals, leveraging a tone of efficiency, competence, and solutions-focused rhetoric. We also provided layout direction and asset suggestions in collaboration with the established design drafts to account for text within the design, allowing our team to make contextual recommendations for specific assets. Developed using WordPress flexible layouts, Emagine IT’s new site is easily managed and can be regularly updated with fresh content, news, and project information. Our team employed Advanced Custom Fields to allow administrators the ability to modify content and images from the backend quickly and efficiently. The flexibility afforded to the administrative team translates into dynamic content with a consistent structure across pages for a more intuitive user experience. 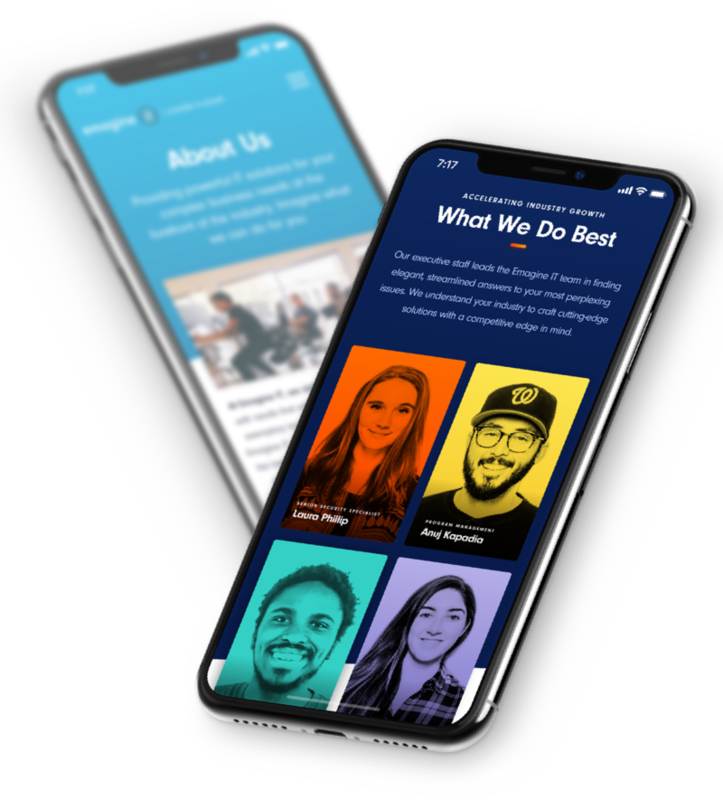 The mobile-responsive design works on all three breakpoints of desktop, tablet, and mobile to create a seamless user experience. Our development team incorporated modals to successfully play multimedia videos on all devices, and incorporated custom hover states within the design for content to better fit with the established site aesthetic. Industry leader in strong content and flexible design.